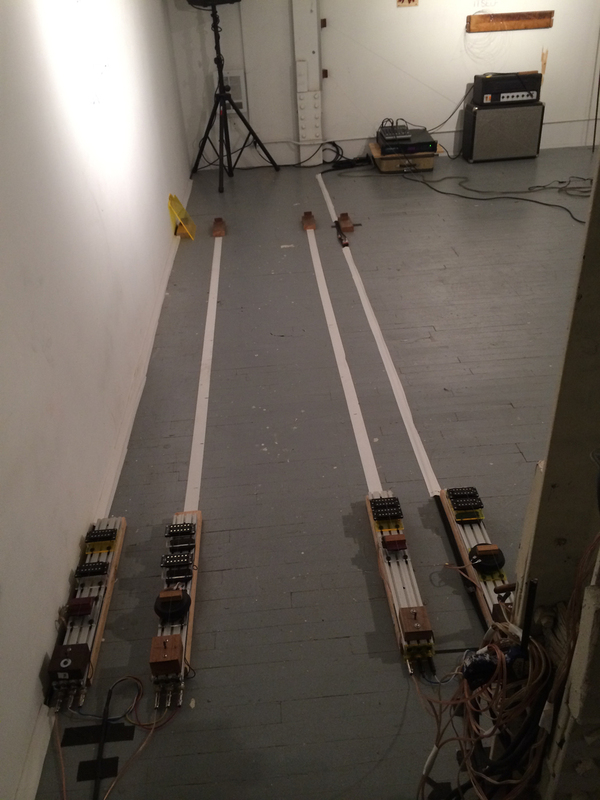 Last night I went to the opening of The Tinnitus Suites at Nothing Space and saw The Lady's Harp in all its splendor. The experience is a bit beyond words, but I can verify that the instrument is pretty cool. Daniel manipulates the mixing boards, but the Lady's Harp really plays itself.